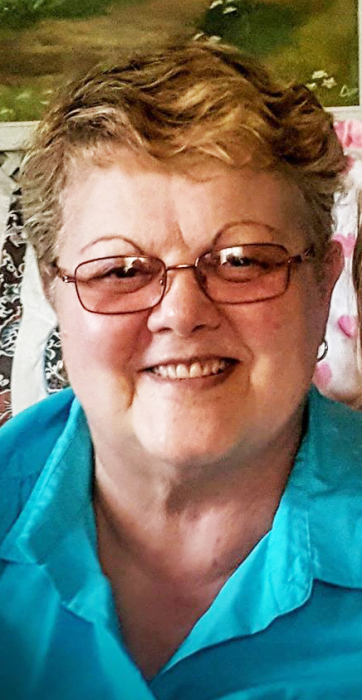 Ms. Raelene Marie Niles, age 73, of Temple (formerly of Davison, Michigan) passed away on Saturday, January 12, 2019. She was born in Flint, Michigan on Saturday, March 24, 1945. Ms. Niles is preceded in death by her father and step-mother, Paul and Irene Niles; her mother and step-father, Joyce Marie and Don Francisco; by her brother Rex Cornell and her lifetime partner Lucille Hawkins. Survivors include her daughter and son-in-law, Deana Marie and Scottie Rosenbaum of Temple; two sisters and two brothers-in-law, Diane and Tim Francisco-Prine of Davison, Michigan and Denise and Dave Bjorkland of Brooklyn, Michigan; five grandchildren and their spouses, Anthony and Amanda Mason of Temple, Brian Mason and his fiancée Kaci Head of Temple, Jamie Lewis of Bremen, David and Samantha Mason of Temple and Nicole and Eric Bowling of Bremen; twelve great-grandchildren, Ashton Mason, Zachary Mason, Hunter Cook, Keagan Cook, Paul Mason, Peyton Mason, Kacyn Thomas, and Turner Clark Mason all of Temple and Hannah Lewis, Eli Bowling, Greyson Bowling and Kaitlin Bowling all of Bremen and a number of other relatives. In accordance with Ms. Niles’ wishes, she will be cremated. The family plans to hold a graveside service at West Vienna Cemetery in Clio, Michigan during the first week of April 2019. The date and time of the service will be announced as soon as they're available.